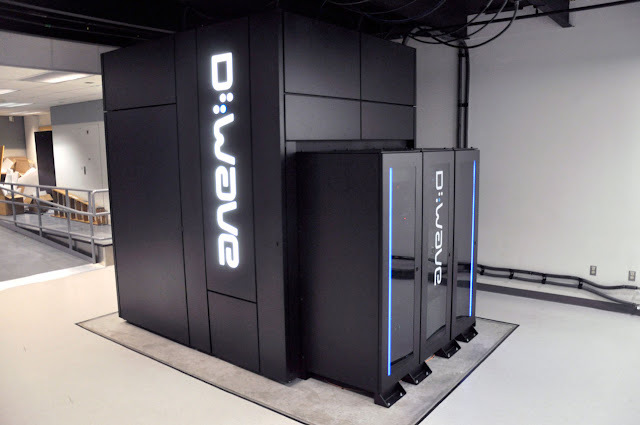 Google acquired this machine from Canadian startup D-Wave systems and is advertised as “the world’s first profitable quantum computer.” The computer is placed at NASA’s Ames Research Center in Mountain View, California, and uses a superconducting chip called a quantum annealer. Quantum Annealer chip is hard-coded with an algorithm suited to slove “optimization problems.” D-Wave’s chips are controversial amid quantum physicists, mostly because no one has been able to decisively verify that the devices can tap into quantum physics to beat out regular computers. But Hartmut Neven, Director of Google’s Quantum AI Lab in Los Angeles, says that his group of researchers now have that proof. John Giannandrea, Vice President of engineering at Google, said that quantum annealers can find many uses powering up Google’s machine-learning software if only they were more practical.